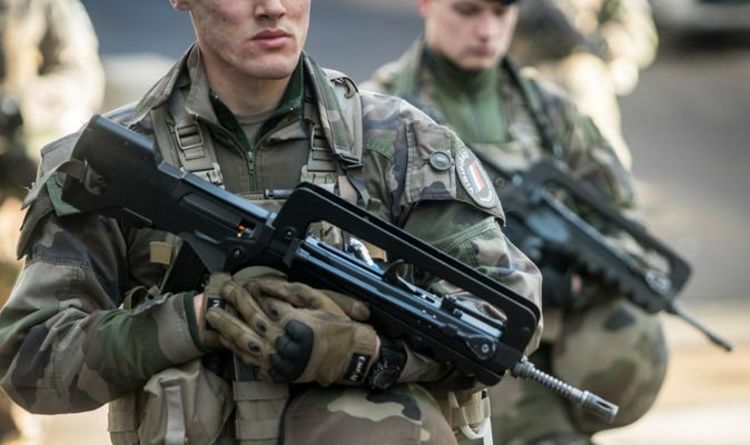 The troops will be redeployed from the anti-terror force during the 19th Saturday of yellow vest action to secure key sites, and to allow riot police to focus on crowd control and maintaining public order following a flare-up of protest violence in Paris last week. Calling up the army to patrol the country’s streets is nothing new. Ever since Operation Sentinelle was launched in the wake of the January 2015 Paris attacks, some 7,000 soldiers have been deployed to secure government buildings, symbolic sites and large sporting events. Sentinelle soldiers, however, are heavily armed, raising fears they could be forced to use their weapons if attacked by a group of rioters. Police fired tear gas and water cannons last weekend as the Paris protests turned violent after weeks of relative calm, during which marches had attracted declining numbers of participants. Police officials said later on Friday that protests would be banned on Paris’ Champs-Elysées on Saturday, days after the iconic avenue was reduced to a battlefield by so-called “casseurs,” or breakers. Yellow vests burned down the famous Fouquet’s restaurant on the Champs-Elysées as well as several newspaper stands, a Longchamp luxury goods shop and vehicles. Protesters will be barred from entering streets surrounding the Arc de Triomphe, at the top of the avenue, as well as accessing other key areas, including the Elysée presidential palace and the National Assembly, the Paris police prefect’s office said. “There are serious reasons to believe that violence and damages are likely during the scheduled protests,” the spokesperson stressed. Police warned that anyone defying the bans would face fines, part of tough new measures vowed by the government to prevent further violence. The fine for taking part in an unauthorised protest, for example, was increased from 38 to 135 euros this week. In other areas of Paris the “right to demonstrate, which is a fundamental freedom, will be allowed,” but “riotous groups will be immediately dispersed,” police said. Interior Minister Christophe Castaner, who was accused of incompetence after saying he was unaware of policing decisions made during the already infamous Paris riots, has for his part promised a zero tolerance policy towards protest violence. “Last Saturday, on the Champs-Elysées, there were no protesters. There were haters, ultras, rioters, people who had come to break, destroy, assault,” he said on Thursday, as he called on riot police to “show zero impunity”. “Black blocs should be in prison, not on the Champs-Elysées,” he warned, referring to the hard-left militants who sparked chaos on the streets of Paris last Saturday. Mr Castaner said that although last week’s protest was relatively small, there had been more than 1,500 “ultra violent” people out looking for trouble. Since mid-November, yellow vests – a group that originally called for fuel tax cuts but has since morphed into a general rebellion against President Emmanuel Macron’s government – have held demonstrations every Saturday in the French capital.